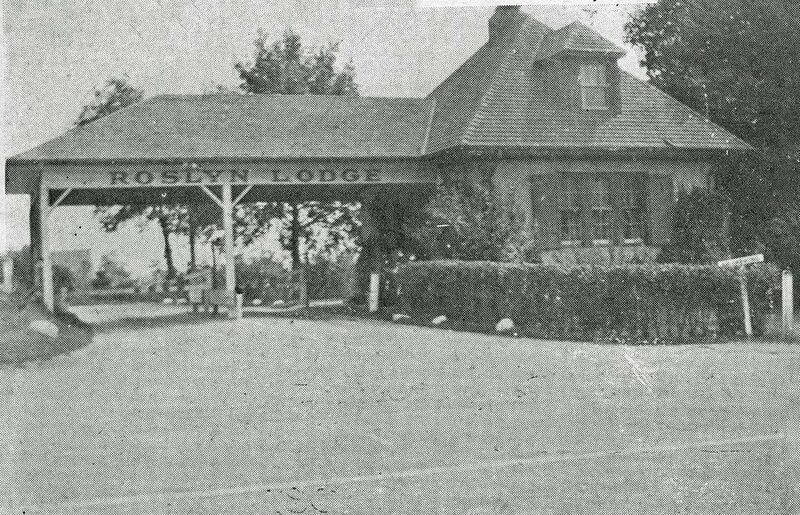 Built in 1909, the Roslyn Lodge was one of the six toll lodges with living quarters for the toll-takers designed by architect John Russell Pope. 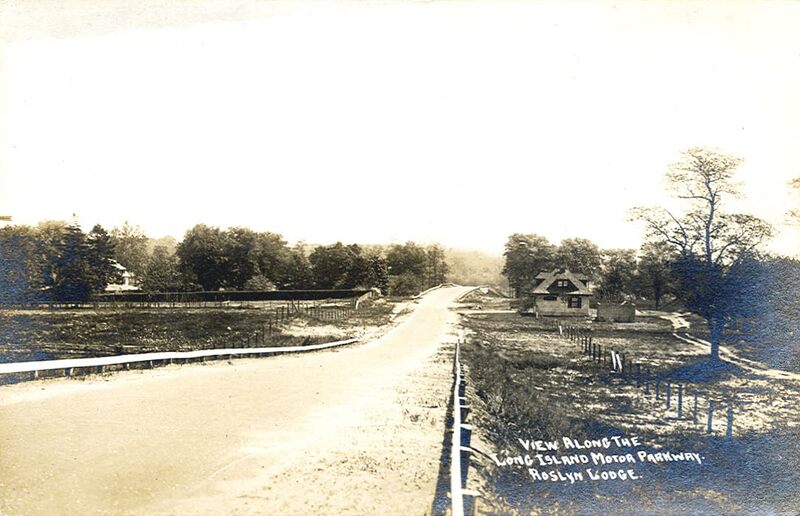 A total of 20 toll collection structures were built for the Motor Parkway from 1908 to 1928. 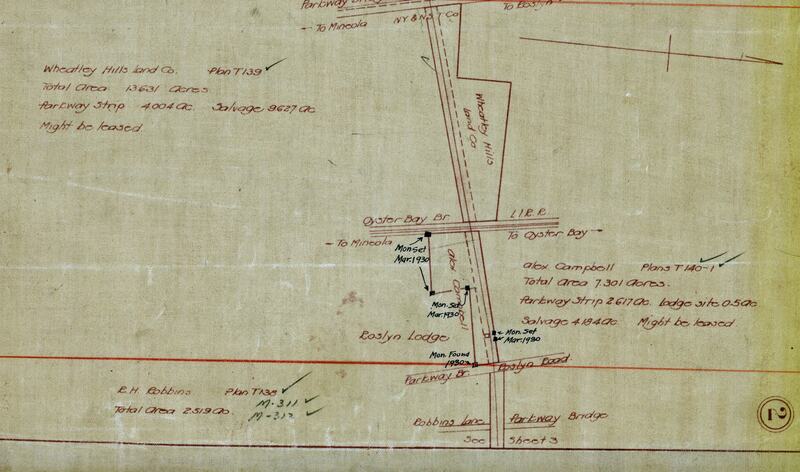 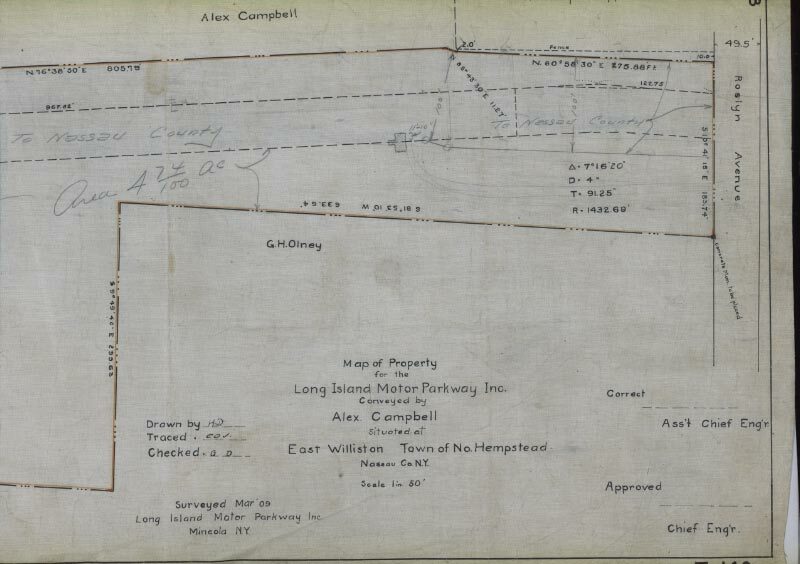 These 1909 surveys show the property built around the lodge was purchased from Alexander Campbell. 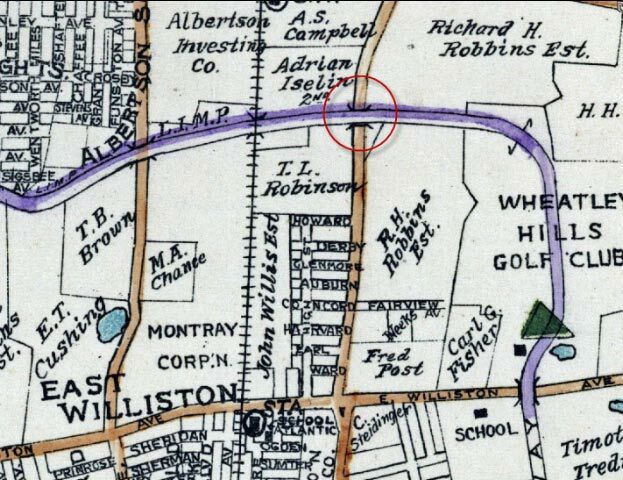 The lodge's location in East Williston. 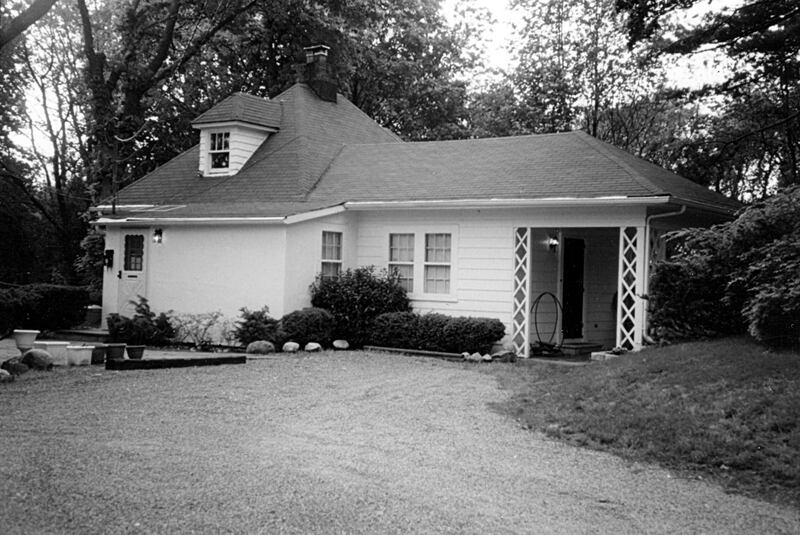 The best ground image of the lodge when its was active. 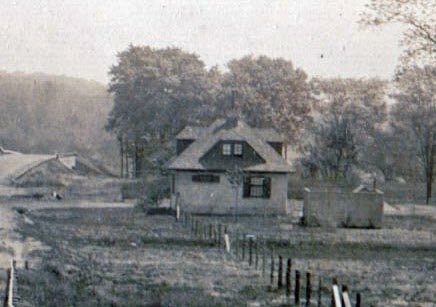 A close-up shows the Roslyn Road Motor Parkway Bridge on the left. 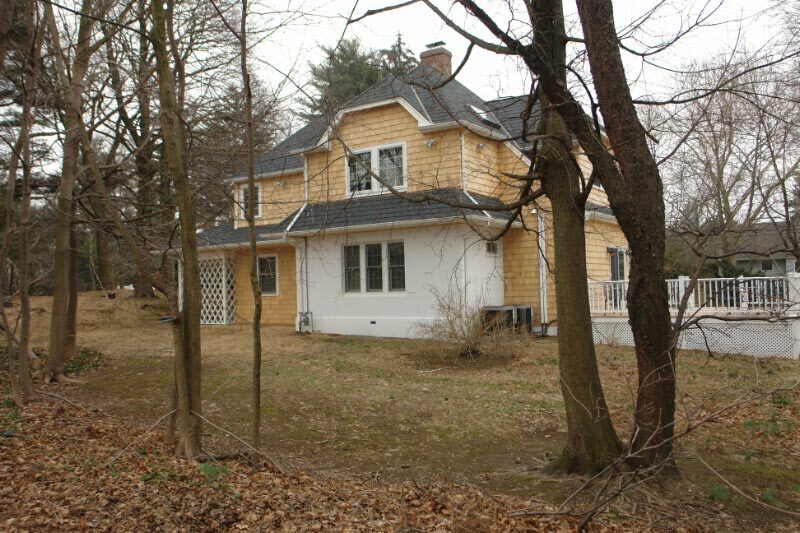 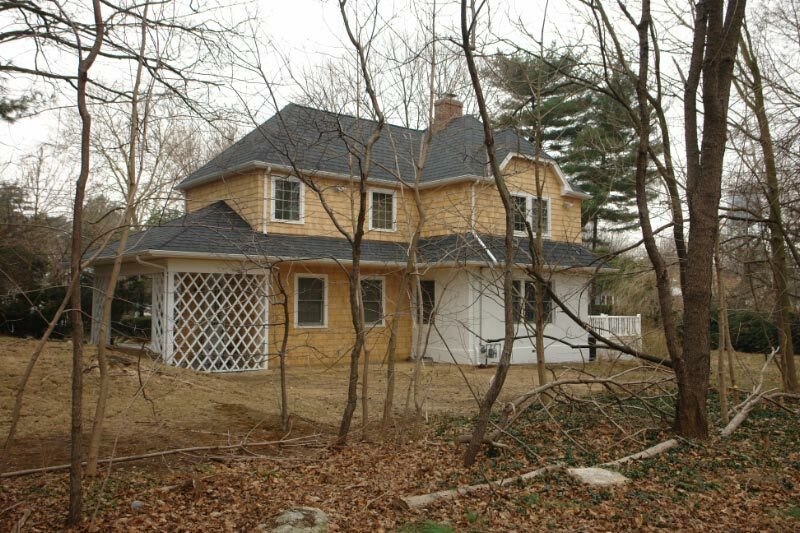 Soon after the Motor Parkway closed in 1938, the lodge was converted and remains a private home. 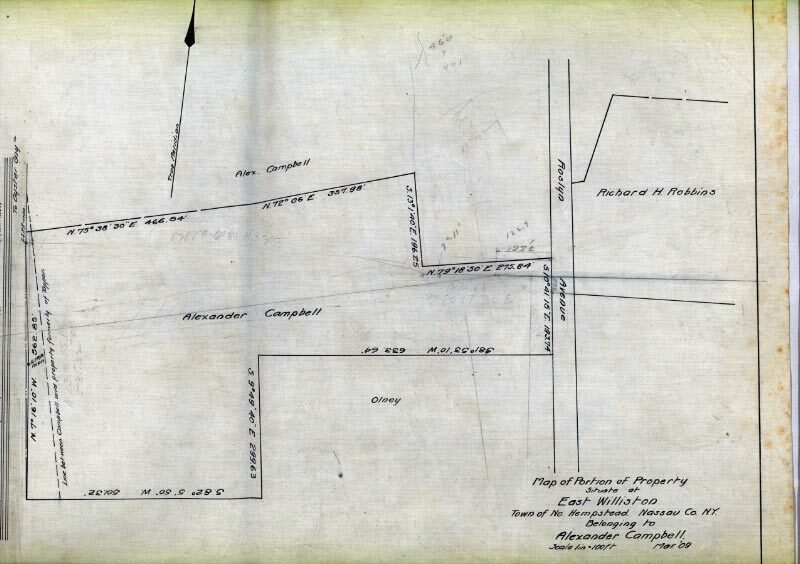 Courtesy of Margaret and George Vitale from slides of Lester Cutting. 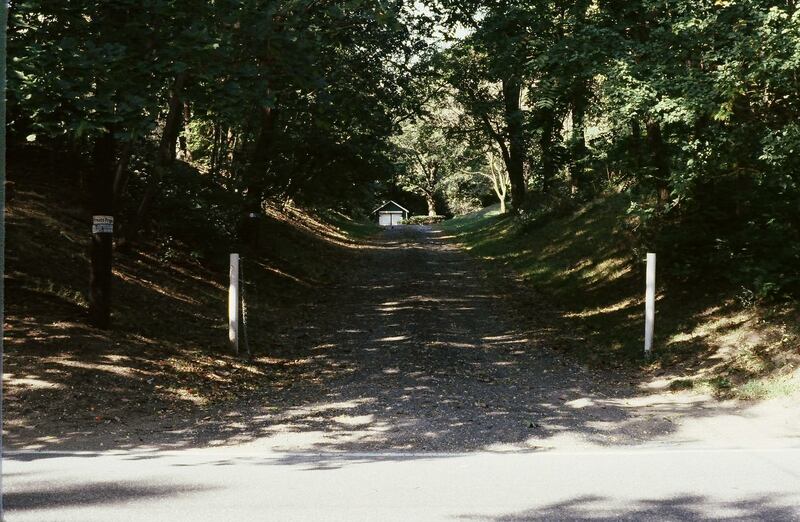 The entrance to the lodge off Roslyn Road. 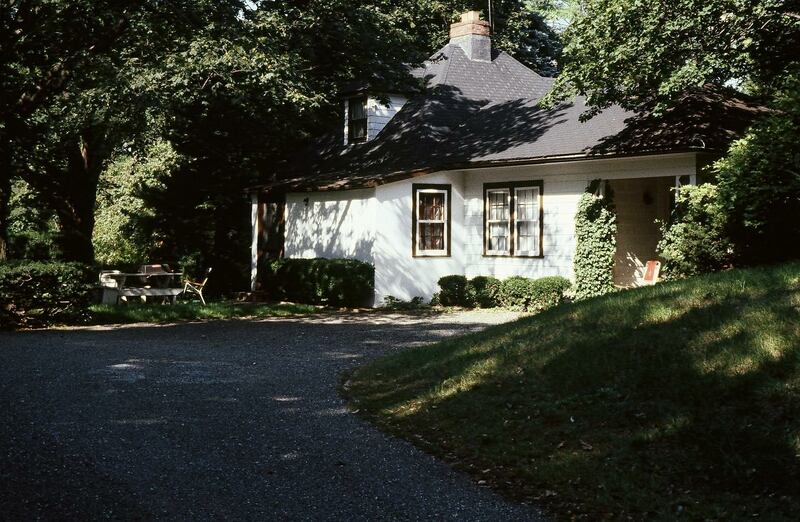 The Roslyn Lodge was extensively renovated in 2007.